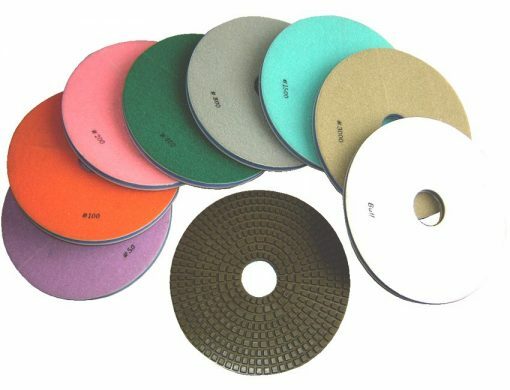 Specifications︰ rigid diamond resin-bond grinding polishing pads for granite, marbles, quarzo quartz, quarzite , engineer stone, marbleglass, ceramics, suitable for processing big size slabs, very aggressive and long life to save your time and money. for Floor polishing machine and for big polishing machine. Made of best quality resine and Glue, no burn the materials, not left color on the light color stones.